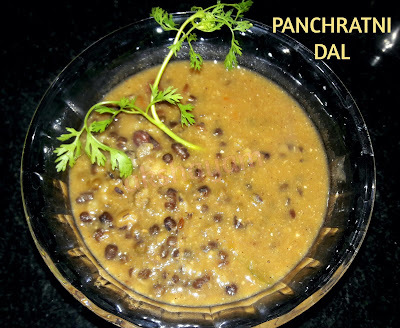 The classic Panchratni Dal - a gem of a dish with typically five lentils, combined with spices and served with rice or Indian breads. Make it even more classic by serving some cut onions and green chilies on the side!!! 1. Wash the lentils together, pressure cook with enough water and turmeric powder till 3/4th done. Take care not to over cook. Remove once pressure reduces and transfer to a pan. 2. Prepare a tempering by heating 1 tbsp ghee and adding hing to it. Roast for a minute and add to the cooked lentils. Heat pan containing the lentils, add salt to taste, chili powder, black peppers, curds and let simmer. 3. Heat the remaining ghee in another pan. Add the ground onion and ginger paste and saute till light brown. 4. Add jeera, chopped green chilies and tomato puree and let cook till gravy thickens. Check for salt. 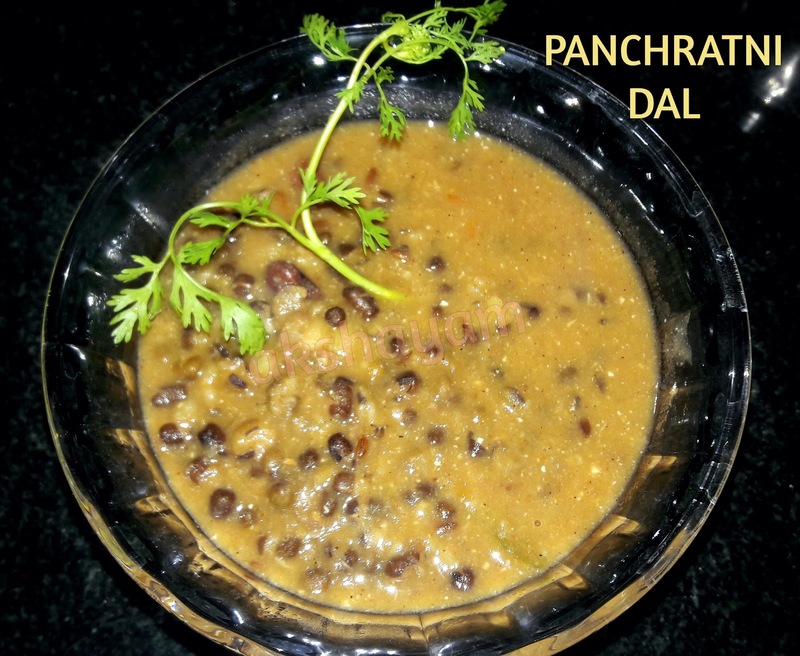 Add the simmering lentils to this gravy, mix well and cover-cook for 7-8 minutes. Remove, garnish with fresh coriander and serve hot.